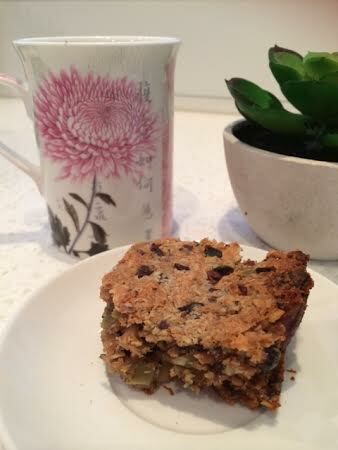 I’ve been looking for tried and tested recipes for a good energy bar for awhile now and I couldn’t go past Lorna Jane’s Nourish Cookbook for the out-the-door energy bars! 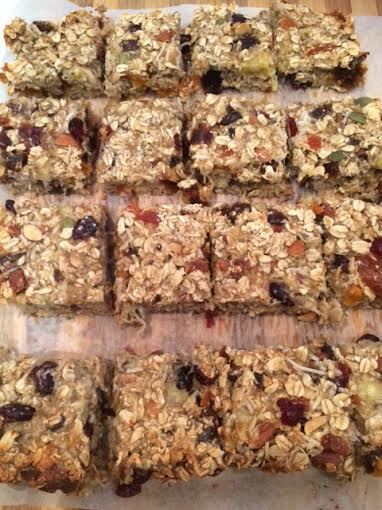 I have adapted the recipe to suit our family as we like dried fruit in our snacks aswell as nuts. So please be aware that this is not taken directly from the cookbook. If you prefer it without dried fruit, just omit it. I usually play around with recipes and add extra things we like. 1. Preheat oven to 160 degrees fan forced. Grease and line a square cake tin. 2. Process all ingredients (except goji berries, apricots and cranberries) in food processor until combined but still coarse. Then stir through goji berries, apricots and cranberries. 3. 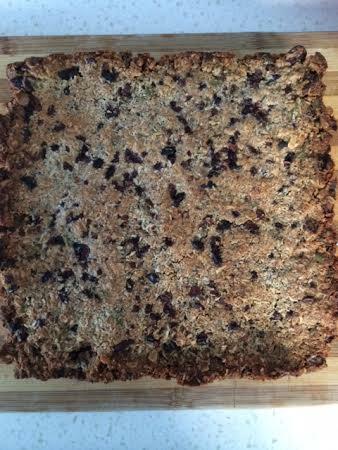 Press mixture firmly into tin, sprinkle with extra toppings of your choice (I used desiccated coconut and cacao nibs) and press down again. 4. Bake for about 30 – 45 minutes or until browned lightly (you may need to cover with aluminium foil if it is becoming too dark on top). Cool in pan before cutting into bars. I store in fridge in an air tight container so the bar stays firm and hold together. 1. Preheat oven to 160 degrees (fan forced). 2. Combine all ingredients in a large bowl. Mix together well with your hands, squeezing mixture together until it starts to bind. 3. Form into approx. 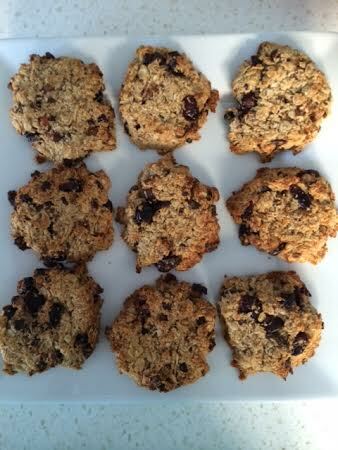 12 cookies (depending on desired size). 4. 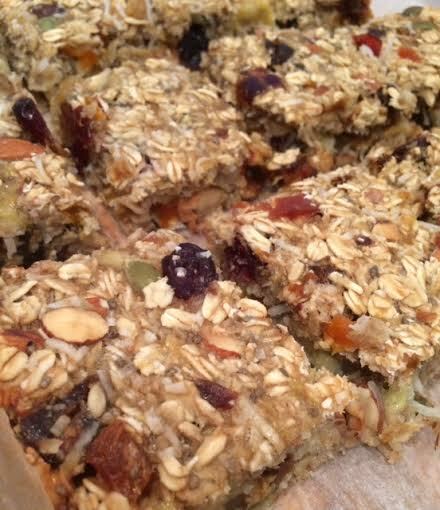 Flatten slightly then sprinkle with extra rolled oats or coconut. 5. Bake for 30 minutes or until golden. Cool and enjoy! Hopefully you enjoy these recipes and they might be something you can add to your range of snack options! I am constantly looking for new snacks we can enjoy during the week.